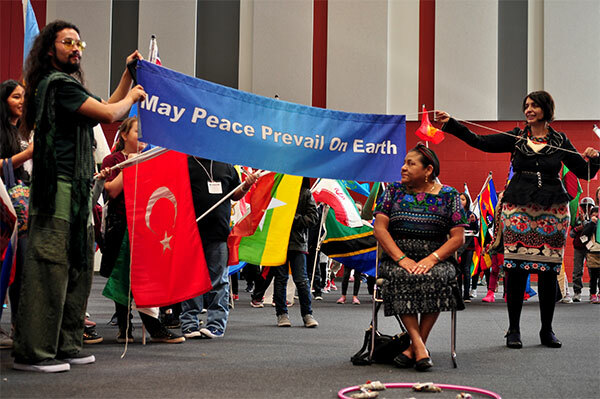 PeaceJam Foundation invited May Peace Prevail On Earth International to present a World Peace Flag Ceremony during the We Walk Together – Youth Leadership Conference held at the Red Rock Community College in Lakewood, Colorado on May 16th. PeaceJam aims to empower youth by designing leadership development conferences along with Nobel Peace Prize winners to affect change in the world. The We Walk Together Conference featured internationally renowned peace activists and Nobel Peace Prize Laureate, Rigoberta Menchú Tum of Guatemala who inspired elementary school youth and high schoolers alike with her wisdom and teachings. 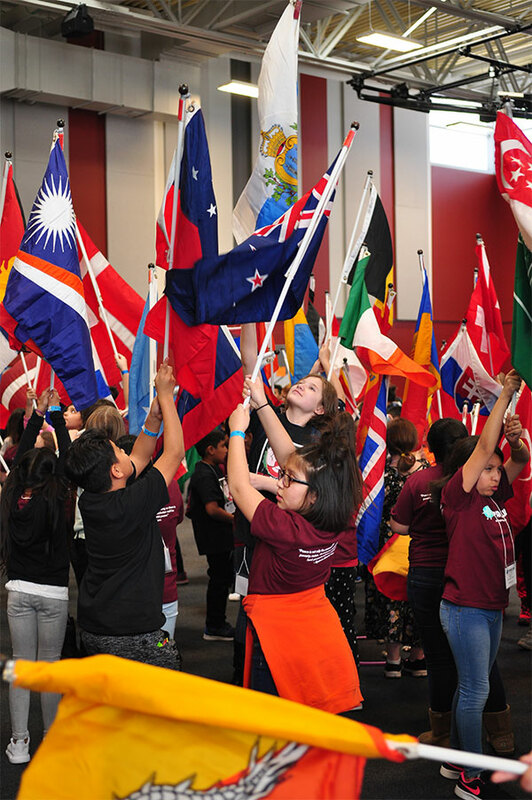 The World Peace Flag Ceremony was featured as one of the interactive programs during the weekend Conference. 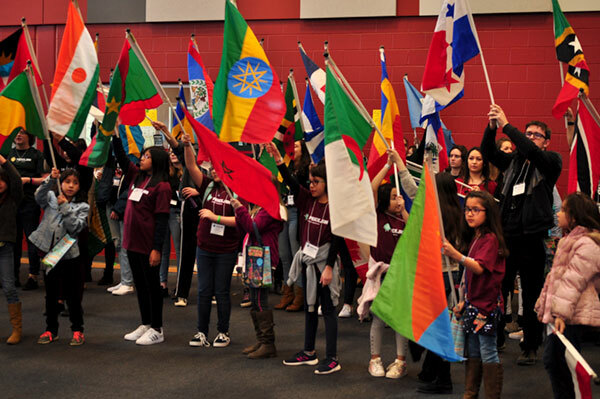 193 youth of all ages stepped up to volunteer as flag bearers to hold the flags of every nation on earth. 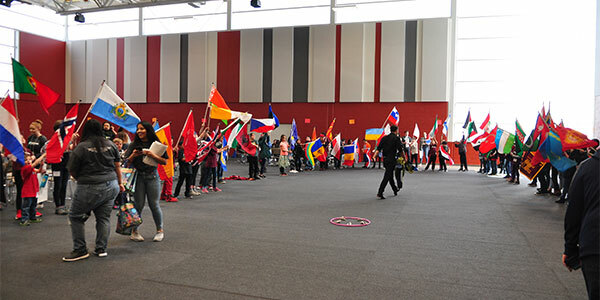 The gym filled with excitement as the flag bearers formed a large circle representing the spirit of the world coming together as one global family. As the names of the countries were read out and repeated one after the other, the voices of youth calling for peace to prevail on earth traveled from Colorado out to every corner and region on earth including the kingdom of plants, animals and all of creation. To close the Flag Ceremony, Rigoberta Menchú Tum carried the International Indigenous Unity Flag to the center of the circle surrounded by youth carrying the flags of all nations. The message May Peace Prevail On Earth was repeated in unison many times over to send the hope and vision of one peaceful world out to all the four directions of our beautiful earth.